"Killarney Provincial Park straddles the boundary between a belt of gneiss (pronounced “nice”) that underlies the cottage country of Muskoka and Georgian Bay and a belt of deformed sedimentary rocks (sandstones and siltstones) to the northwest. In Killarney Provincial Park, a band of granite occurs along this geological boundary and these pink rocks are featured along the Highway 637 corridor northeast of the town of Killarney. Northwest of the highway corridor, along the canoe routes and hiking trails of Killarney Provincial Park, are the sedimentary rocks that include the white quartzite mountains that have made the park famous." We were hiking the Granite Ridge Trail in August, 2008 and took these pictures. I had no idea what kinds of mushrooms there were, just that there were a lot, and such variety. This was one hike on one trail! Oh...I wish I could turn back the clock and go gathering!! 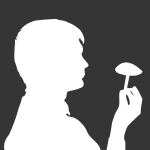 We made a Powerpoint presentation of our trip and called this section: "Fungal Interlude". Awesome collage of colors. Killarney is awesome but be careful as its illegal to pick mushrooms in our parks. Not saying you were picking, just letting you know. Thanks for the warm photos on this cold Sunday! Quite an array of fungi... Amanita, Lycoperdon, Hygrocybe, Ganoderma, Suillus, Ramaria, Clavulina, Hydnellum, Coprinellus, Gymnopilus, Russula, Leotia, and the non-fungal species of Monotropa... but not necessarily in this order. Rest assured no picking, just photographs. Killarney is my favourite park in Ontario...we've visited many times. Canoeing, hiking, camping....love it! Thanks Dave! I'll consult my field guide to look up some of those Genera. I realized that Monotropa uniflora was in there...not a fungus but I didn't know that in 2008. If you ever travel up to Ontario Killarney is definitely worth a visit in the summer (haven't been in the winter). Interests:Anything outdoors. Hunting, fishing, foraging etc.